“1987: When the Day Comes“. With an impressive ensemble cast and polemic real-life story, director ’s powerful portrayal of the events that led to Korea’s historic June Democratic Uprising was as much a hit with audiences as it was with critics when it stormed the box-office at the start of this year. In 1980s South Korea, the military regime of President Chun Doo-hwan pushes the masses to breaking point with its widespread corruption and oppression. In 1987, a series of events will be set in motion through which the heroic actions of ordinary people from all walks of life result in nationwide protests, altering the course of the nation’s history forever. When a student protester dies under police interrogation, the order is given to quickly cremate the body, effectively burying the evidence. 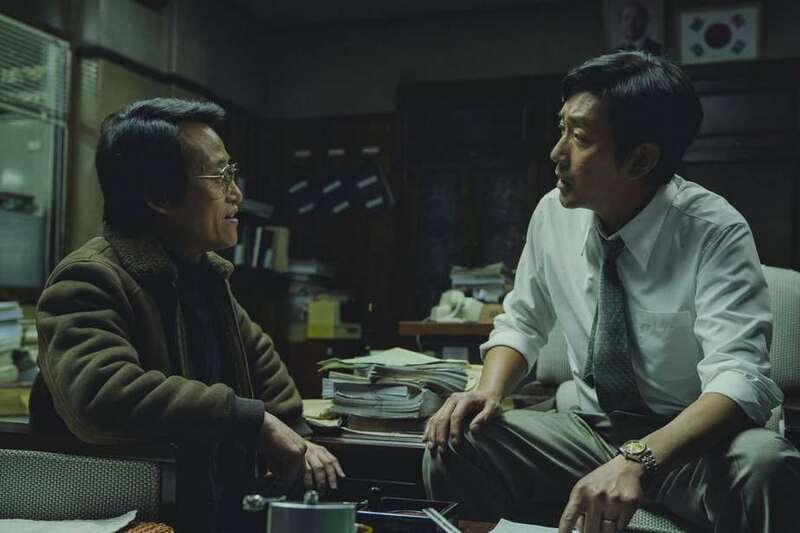 Unfortunately for Director Park (Kim Yoon-seok, “The Fortress”), the head of the Anti-Communism Investigations Bureau in Seoul desperately trying to cover up the crime, Prosecutor Choi (Ha Jung-woo, “Assassination”) is not playing ball. Suspecting foul play, Choi refuses the request and insists on an autopsy. When it’s discovered torture was the likely cause, the race is on to bring the crime to light. Prison guard Han (Yoo Hai-jin, “Confidential Assignment”) his niece Yeon-hee (Kim Tae-ri, “The Handmaiden”) and idealistic student Han-yeol (Gang Dong-won, “A Violent Prosecutor”) are just some of the ordinary people who put their lives on the line to uncover the truth. Highly regarded director Jang Joon-hwan (“Save the Green Planet”, 2003) has made his most ambitious film to-date with this fast-paced, tightly plotted political thriller based on the shocking true events of 1987 Korea. Like last year’s “A Taxi Driver”, “1987: When the Day Comes” gives the blockbuster treatment to a turbulent period, resulting in an exciting thrill-ride of a film that never loses sight of the human drama at its core.